Sabena Al Jamila Nile cruise is a 5 star deluxe River Nile cruise consisting of 4 suites & 66 double cabins distributed on the main, two upper decks & one lower deck. The size of each cabin is 22 sq. meters each, with private bath/shower and size of each Suite is 35 sq. meters each, with private bath/shower. 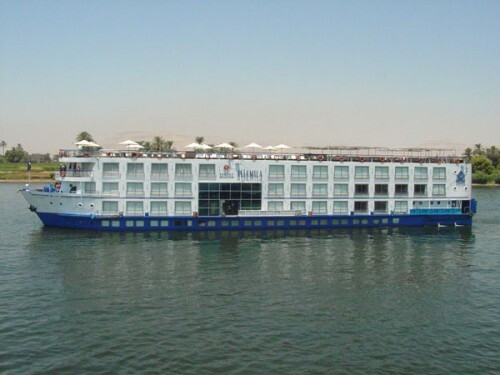 Al Jamila Nile Cruise was launched 2002 and it was totally renovated in summer 2010.